AIIMS Delhi Jobs Recruitment 2019 for Nursing Officer Posts: Union Bank of India has advertised a notification for the recruitment of Nursing Officer - 1372 vacancies. Candidates are Interested in the Vacancies details and passed 5th, 8th, 10th, 12th, ITI Pass, Graduate, PG, Degree/ Diploma Examination. Candidate may Apply Online registration from 31-01-2019 to 07-02-2019 at 05:00 PM Hrs on wards. Qualified in education qualification and experience as mentioned in the advertisement. Candidates will be required to pay Application/ Test Fee of Rs.1000/- for General/ OBC Category and Rs.200/- for SC/ ST category, Through Online: Debit Cards (RuPay/ Visa/ MasterCard/ Maestro), Credit Cards, Internet Banking, IMPS, Cash Cards/ Mobile Wallets. Interested candidates can Apply Online Application forms by visiting the website “www.aiimsexams.org” from 31-01-2019 to 07-02-2019 at 05:00 PM Hrs on wards. 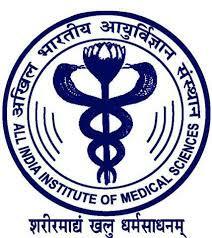 AIIMS New Delhi Jobs Recruitment 2018-2019 for Research Officer, SRF, Lab Technician & Attendant Posts: Ministry of Health & Family Welfare, Government of India, All India Institute of Medical Sciences (AIIMS), New Delhi has Released Recruitment Notification for Research Officer, SRF, Lab Technician & Attendant – 04 vacancies. Interested for getting Research Officer, SRF, Lab Technician & Attendant Vacancies, May Apply Online on or before 28-06-2018 Hrs on wards. Qualified in MBBS/ Ph.D/ MD/ MDS/ or 1st Class M.Sc. course (only regular) in Microbiology, Biotechnology/ Molecular biology from the reputed university for Post No.1, MBBS/ Ph.D/ MD/ MDS/ or 1st Class M.Sc. course (only regular) in Microbiology, Biotechnology/ Molecular biology from the reputed university for Post No.2, B.Sc. (MLT)/ B.Sc. Life Sciences with MLT (03 years) for Post No.3, 12th Pass in Science stream for Post No.4. Interested candidates may submit their applications with their CVs alongwith self attested certificates of all qualification/experience and latest one passport size photographs at the office address given below before 28-06-2018 Hrs on wards. Last Date for Applications: 28-06-2018 PM Hrs.